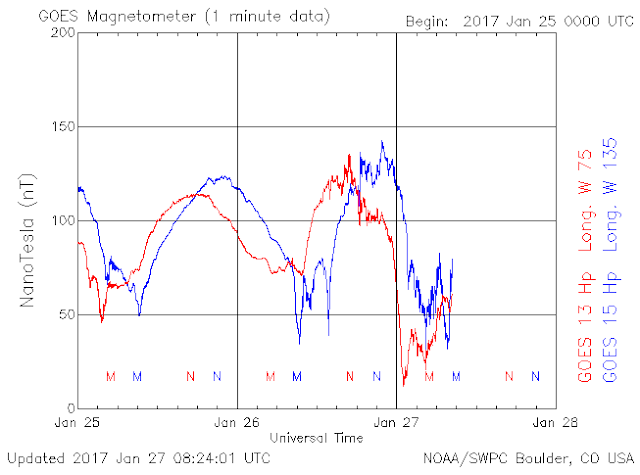 Earthquake Prediction: GOES Magnetometer nose dives! 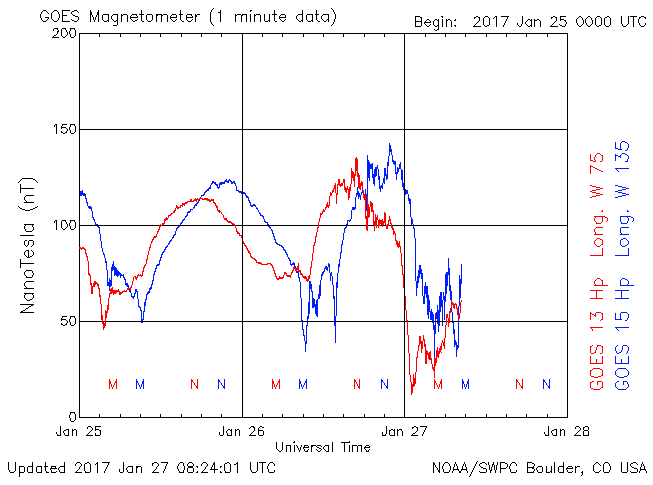 Huge drop in the magnetic fields to 20nT from this magnetometer which we follow, indicates very strong earthquake is due within a few days. Well if you look at the Global predictions link in the blog, you will see that today (+-1 day) is due for one.